I just tried a spin on Campari and Soda. A little sweeter with the ginger ale, and a little smoother with the gin. Put all ingredients in a tall glass with ice and stir. 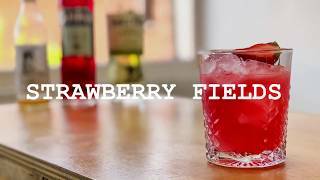 Strawberry Fields Cocktail Recipe - Tequila and Campari!